How may look a war between the major powers in the new environment? Since the beginning of the 1990s, the world has witnessed the birth of a new concept of military activities, based on the remote defeat of the enemy with precision-guided weapon. 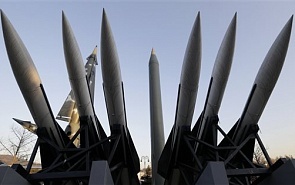 Revolution in military affairs as a result of military technologies modernisation has seemingly changed the face of war. However, the practice shows that it is not like this. It is impossible to defeat the Taliban or ISIS without occupation of the territory. Inter-ethnic and civil conflicts have been developing as they have been for a hundred years. The countries without modern technologies are still combating with support of armies of big powers. Recognizing that modern war would not be a remote one the authors of the article speculate how the latest advances in military technology impact the strategy of the modern war. Jeffrey Collins, Department of Political Science, Carleton University, Canada. Andrew Futter, Senior Lecturer in International Politics, Department of Politics and International Relations, University of Leicester; Fellow of the UK Higher Education Academy.